Before it’s a border, it’s a river. Join us to say no to President Trump’s border wall that would harm the Lower Rio Grande, its communities, and its wildlife. You can’t wall off a river and expect the river, its wildlife, or its people, to survive. 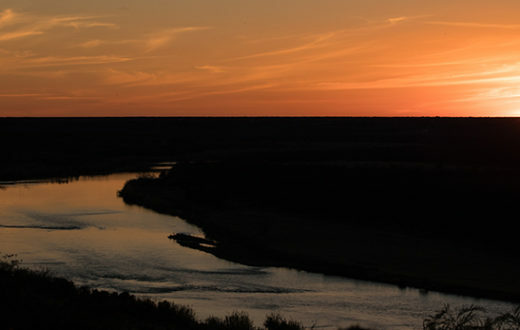 That’s why we put the Lower Rio Grande on the list of America’s Most Endangered Rivers® of 2018. 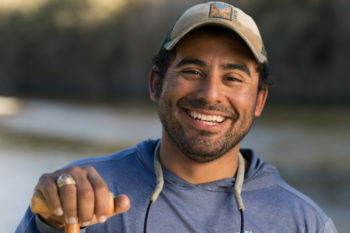 “The Rio Grande is so much more than a border,” says Chris Williams, Senior Vice President for Conservation at American Rivers. President Trump has proposed the construction of hundreds of miles of new border walls along the Rio Grande, and Congress has agreed to fund this first phase of construction. The first 30 miles of this new phase of wall building have already been mapped, and preparations are under way for construction in the Lower Rio Grande floodplain. Much of this new construction will be “levee-walls”— essentially a steel fence on top of a large levee— that will cut the Rio Grande off from its floodplain, potentially exacerbating flooding and erosion and blocking access to this life-giving resource for people and wildlife. We’re calling on Congress to refuse to appropriate another penny for this damaging and wasteful project. 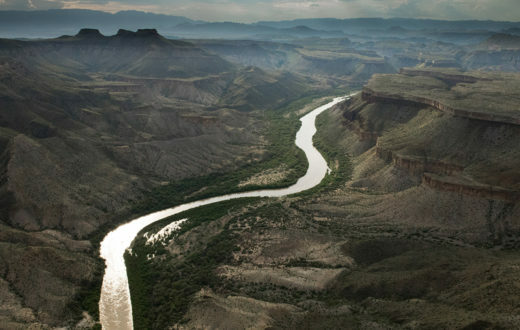 New Rio Grande border walls will have multiple impacts: habitat corridors will be severed and endangered species will be pushed closer to extinction; natural inflows into the river will be disrupted; wetlands will be destroyed; floodwaters will be deflected, potentially moving the river channel; flooding in communities along the river will be worsened; and access to the river for residents and landowners will be disrupted. 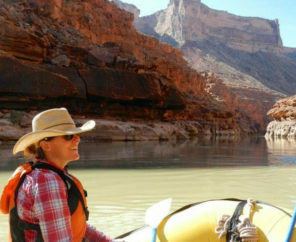 In our many years of issuing the America’s Most Endangered Rivers report, we’ve seldom seen a collection of threats this severe, or an administration so bent on undermining and reversing protections for clean water, rivers and public health. Your support is vital as we fight for America’s Most Endangered Rivers of 2018, and rivers nationwide. Thanks for your response, however, what flood and flood plain? Under the 1906 Treaty, the Mexicans get their take, and that has not increased since no matter how large the Mexican population has expanded since 1906. Ft. Bliss has 38 wells taking most of the ground water, and El Paso has repeatedly taken and taken any water they can locate. Please take a look at flooding in the past 20 years and historically? Please take a look at how low the water levers are in the Elephant Butte Reservoir and Caballo Reservoirs. The damage to the ecology of the Rio Grande River north of Caballo Lake and immediately north of Elephant Butte Reservoir is by far the bigger problem as those two lakes have been cut way back in order to sustain the overuse downstream. Other than 2 years in the past 60 years, Elephant Butte Reservoir has been well below 50% of capacity with great harm to the environment. 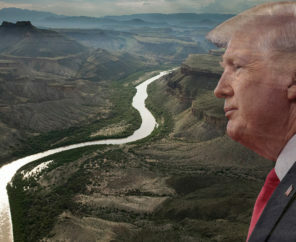 I love protecting rivers, but come on folks, the Lower Rio Grande River has been so heavily compromised before it reaches El Paso, that this article is dishonest. Where were you when the military installation, Ft. Bliss, siphoned off 30% of the Lower Rio Grande River for its massively increased military base, or El Paso siphoned off another 50% of the Lower Rio Grande River as its population grew to record levels, or the people and ranches between Caballo Reservoir and El Paso, Texas took the rest of the Lower Rio Grande River for their needs, particularly there massive population increases. Keeping Illegals, including terrorists out of the US has more importance today than building a wall along this much compromised and severely reduced river. The response below is from Amy Kober. You’re right that the Rio Grande as a whole is suffering from a number of threats, including excessive water diversions and pollution. We have highlighted those threats in past years of America’s Most Endangered Rivers (several times in the 90’s and most recently in 2003). 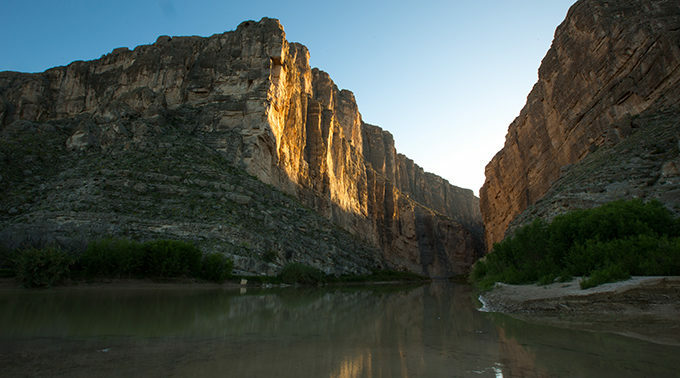 As we note in the report, additional border wall construction would have major impacts on the river, cutting it off from its floodplain, likely exacerbating flooding and erosion, and blocking access for people and wildlife to this life-giving resource. 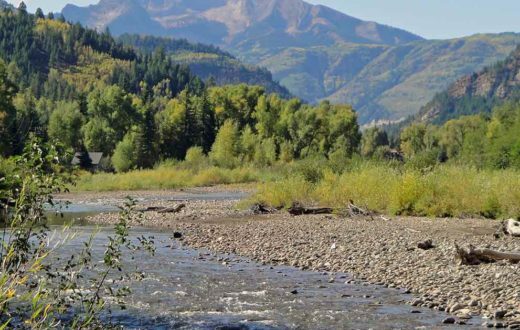 It’s important to highlight that with the Trump administration waiving key environmental reviews, we aren’t able to “look before we leap” and have a comprehensive, meaningful look all of the impacts to the river and communities. There’s just too much risk.